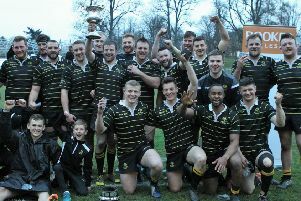 Selkirk’s rugby players aim to carry the warm satisfaction of beating a Premiership side into tomorrow’s (Saturday) Borders derby in BT National League Division 1. The Souters defeated Hawick 28-17 in the Bookers Border League last Thursday and are “pepped up” for the trip to Jed-Forest, according to manager Tom Ramage. Selkirk reckoned they were capable of beating Jed in their own back yard and should be at full strength, he said. They were “raring to go” but they knew the Riversiders would be well up for the challenge. Jed had been on a “rough trot”, having lost their last three games, and head coach Jammy McFarlane said it was disappointing to be out of play-off contention.